Implementing ISTE NETS Standards into lesson plans does not require making as many foundational changes as implementing Blooms Digital Taxonomy. 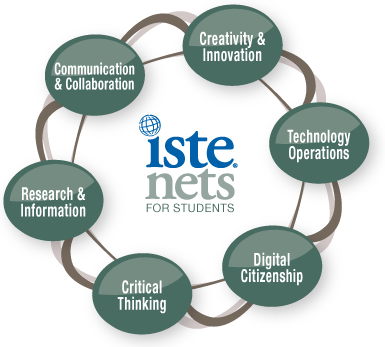 Teachers interested in implementing ISTE NETS standards might first consider how they can modify their existing lesson plans by incorporating elements of the NETS standards. "Using the resources on History.org, the website for Colonial Williamsburg, students should collaborate digitally to create a Prezi presentation on life in Colonial Williamsburg." 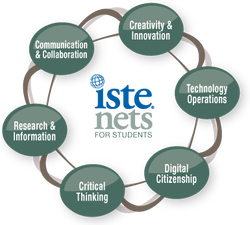 The revised lesson takes the research, collaboration, and creative components from the original lesson and moves them forward, into digital skills that are relevant to today's digitally native students.